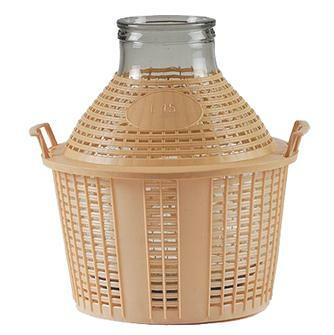 Glass carboys and demijohns with plastic outer coating, plugs and other demijohn accessories. 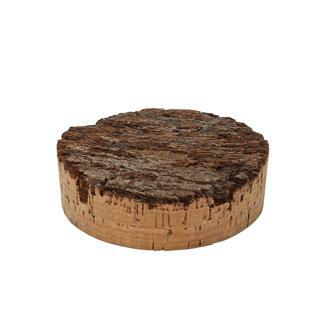 Cork plug 100 mm in diameter for wide opening glass olive oil demijohn. 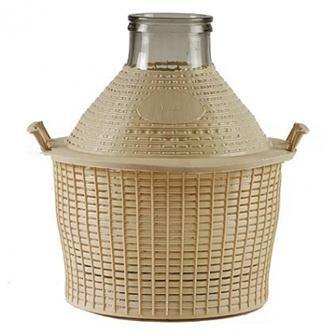 Cork plug 120 mm in diameter for wide opening glass olive oil demijohn. 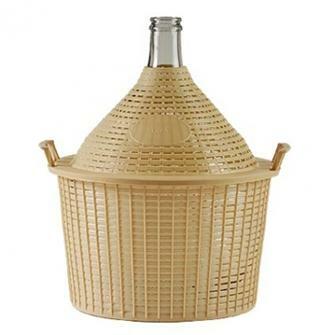 Cork plug 105 mm in diameter for wide opening glass olive oil demijohn. 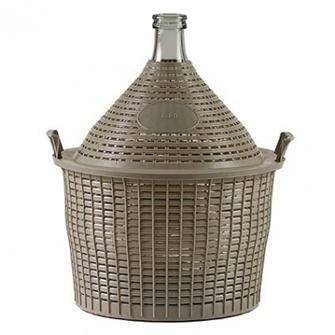 Glass olive oil demijohn - 5 litres, with plastic coating, 117 mm opening. 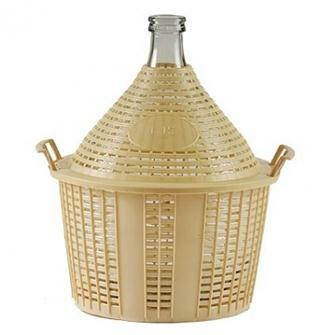 Glass olive oil demijohn - 10 litres, with plastic coating, 117 mm opening. 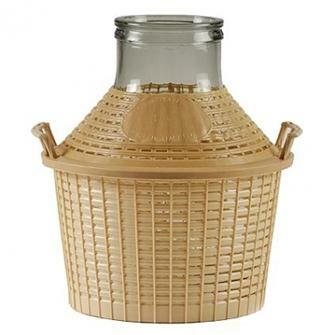 Glass olive oil demijohn - 15 litres, with plastic coating, 117 mm opening. 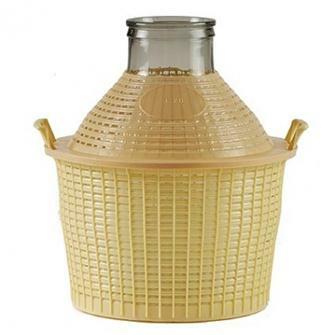 Glass olive oil demijohn - 20 litres, with plastic coating, 117 mm opening. 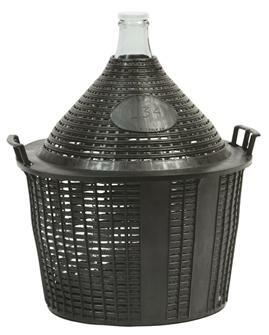 Glass olive oil demijohn - 25 litres, with plastic coating, 117 mm opening. 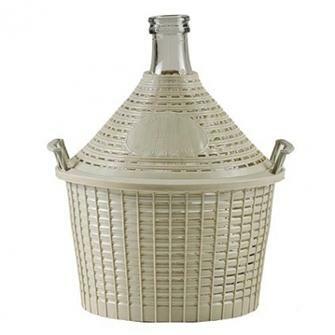 Glass demijohn - 5 litres, plastic covering, 28 mm opening. Conical 28 mm cork plug. Packet of 10 units. Conical 32 mm cork plug. Packet of 10 units. Conical 34 mm cork plug. Packet of 10 units. 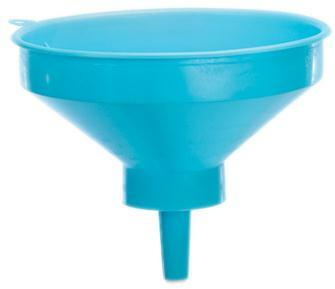 Conical 36 mm cork plug. Packet of 10 units. Conical 38 mm cork plug. Packet of 10 units. 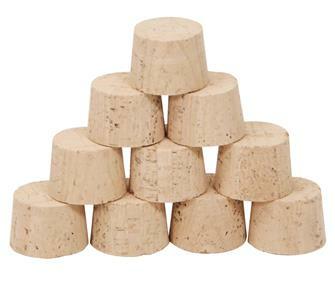 Conical 40 mm cork plug. Packet of 10 units. 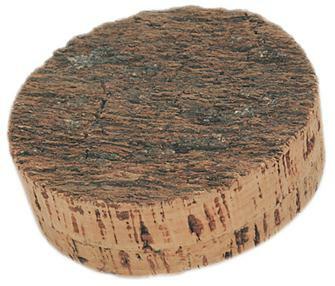 Conical 45 mm cork plug. Packet of 10 units. 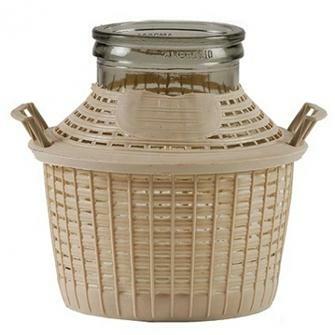 Glass 34 litre demijohn jar with a plastic coat. 42 mm opening. 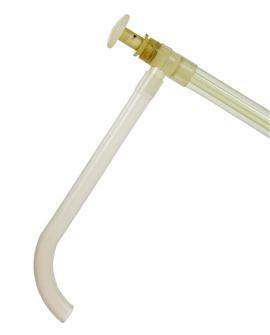 Manual pump for 130 cm demijohn. 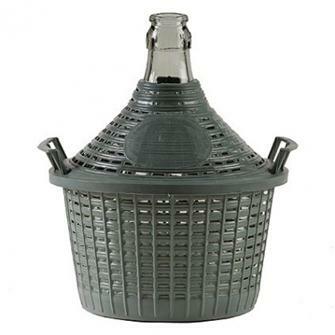 For transferring from a cylinder or vat standing on the floor to a demijohn or carboy placed on a table for improved comfort. 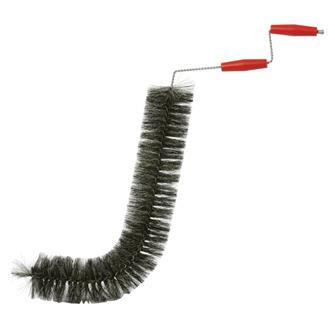 Bottle brush measuring 1 metre for demijohns from 35 to 54 litres.